Collaboration — so much more than parallel play! 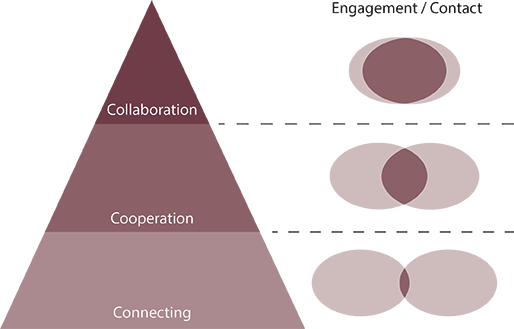 Collaboration has become a real buzzword in schools recently. Modern Learning Practice (MLP) is built upon a foundation of collaborative practice and places like the VLN are full of discussions around the value of working closely with colleagues. Thinkers like Fullan (eg 2011) and Timperley et al all claim that collaboration is central to their understandings around school development and teacher professional learning. This is where teachers come together for a specific purpose and agree to work together, share resources etc simply to serve an agreed outcome or purpose. This is generally short-term and intermittent. A lot of teachers are connecting on social media for example and this enables them to use a collective intelligence to find specific resources or ideas. The NZ Teachers (Primary) Facebook page and Twitter in some instances could be examples of this kind of connection. Each person who is connecting with the others could still function quite adequately if the relationship didn’t exist (but is is better for everyone while it does). This is where my metaphor of parallel play comes in. Developmentally children play alongside each other before they play together (connecting before cooperating). They use the toys to play their own games in the sand pit before they share them and play together. The Venn diagrammes above show this. This is more in-depth more long term, and more closely linked. I have worked in many schools where teachers in syndicates co-operated a lot. This also happened across the staff for Units, sports days and so on. We shared students for literacy and numeracy between classes in order to cater for ranges of needs at both ends of programmes. We could have survived without the other people but our programmes and the outcomes for the students were certainly better because of the ways we worked together. We planned together for core curriculum areas, aligned Inquiry topics and shared resources and ideas for how we could make things as successful as possible for our students. Many teachers also cooperate for their professional learning. Social media and forums like the VLN are hotbeds of people sharing ideas, practices and resources. People come together for their professional learning in PLGs or other forums at agreed time frames but often have little contact with each other in between times. They could operate without each other, but the collective brainpower of the minds working together certainly make it better. This is where people are so inextricably linked that they couldn’t function without the others. The effect is much bigger than the sum of the two parts. In MLP this is the thing that makes the difference. Teachers share and organise the programme in ways that mean you couldn’t split the ways of working back into its parts again. Again the Venn diagramme above shows this. Learners of all kinds collaborate in many different ways and in many different forums. There are lots of good examples of teachers and classes collaborating for their learning (eg VLN Primary). Enabling eLearning is full of in-depth and ongoing examples too. Social media can also provide forums for people to engage with each other in these ways. The key thing here is the complete reliance on each other to achieve the shared goals. No one person could do it on their own. In my experience we often see confusion between these three ‘levels’. People often refer to cooperation as collaboration in particular. True collaboration is actually still quite rare I believe. I have also seen quite a few so called Modern Learning Environments where in fact the teachers are simply cooperating to use the space/s provided. They share the physical spaces and places, and sometimes some of the students, but also are largely ‘the rulers of their own kingdom’ in a series of classrooms without walls in a big open space. This is often what we saw in the days of ‘Open Plan’ in the 70s and 80s. Could this scenario continue to operate if one of the partners became disengaged or was not there for any length of time? If you analysed the ways of working, which Venn diagrammes above would be the most necessary to record what is happening? If collaboration is identified as being such a critical factor in MLP (and I absolutely believe that it is! ), and therefore in MLEs, it is essential that we know it when we see it. It is equally as critical that we know when we are not. As a learning designer, I've still got a lot to learn. Not about learning, but about the business of learning. Back in the day, when teachers wore gowns and boys had short haircuts, the teacher was a superior being who dictated what the lesson would be, and how the outcomes would be judged. Learning was like school dinners: there it is, if you don't like it, go hungry. Or, in the tougher establishments like the ones I attended: there it is, eat every last bit of it, even if it is disgusting, it's good for you, and you can't leave the dining room until you've made a clean plate. Homework and detention were very much the same thing but went by a different name. But now the student and her parents are the customer and the learning spaces, methods, and materials are our product. Now we've swung our thinking around and most people subscribe to the environments and principles of modern learning. The expectation in this new learning environment is for continuous pedagogical and technical innovation. Unchanged for hundreds of years, the rate of change of learning is now a power curve. Consequently, we find ourselves in need of some professional development in the area of innovation and business start-up. I say start-up because the change from old school to new school is so radical it's an entirely different world. The learning designers on the Instructional Design team at CORE Education are totally committed to taking a learner focus, as opposed to a curriculum focus, or worse, a teacher focus. However, old habits die hard. As the oldest member of the team I sometimes need to be reminded to focus on the learner, their motivations, and their needs. That may be a narrow profile that we can target with pinpoint accuracy, more often the learners fit into a broad spectrum of people and then the task is harder. The principles of Universal Design for Learning and the tenets of the Web Content Accessibility Guidelines act as our guide and underpin our work, but really it boils down to giving the learner ownership and offering them choice. Especially with adult learners, but with younger learners too, it's like asking: what do you want to be able to do; what do you need to learn to do that; how do you want to learn it; and how do you want to demonstrate that you can now do that thing you identified at the start? So, what we really design and build these days is not learning, but a framework for learning. CORE Education is not for profit, but we still need to make money just to survive. To this end, we have established an internal incubator, not unlike Google Labs, but on a more modest scale. Our learning designers are among those who have put forward project ideas. It's burned into our psyche to think: How can my idea improve the quality of our learning designs and implementations? But now we need to think: How can my idea improve the quality of our learning designs and implementations, and be productised, and be monetised? Productise and monetise are not words that come easily to our lips. We don't like to dirty our hands with the filthy lucre. So it's a challenge, and show me a learning designer who does not rise to a challenge! One popular innovation process that we take to like ducks to water is Design Thinking. We workshop the learning problem. The workshop unfolds in stages: empathise, define, ideate, prototype, and test. At its best Design Thinking is high-energy fun, iterative, productive, and ultimately points to one or more candidate solutions. While you can do it at four tables pushed together in your nearest cafe, ideally it takes place in a specially designed collaborative space with aids like portable whiteboards, projection screens, configurable furniture, and soundproof pods. Either way, that's face-to-face. So, here's the Challenge for our team, because we are a virtual team, and we rarely meet face-to-face. How do we innovate effectively in a virtual incubator? I don't have the answer, but I'm looking for it. 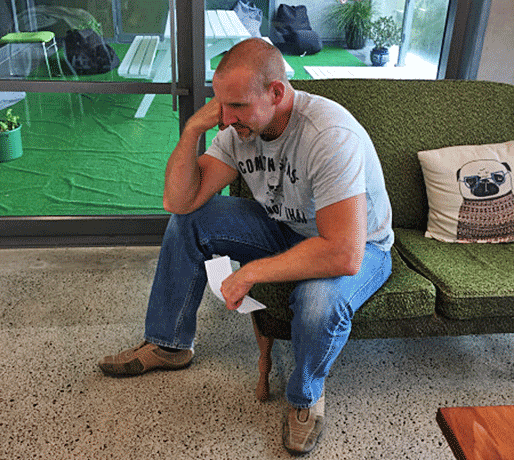 For years, I sat on a domain name, virtualincubator.co.nz, but recently I let it go. I keep having ideas for learning frameworks, most recently, an alternate reality games in education framework (ARGEF). But I continue to stare at the wall, racking my brains for how to productize and monetize it. Such is the life of the budding entrepreneur. What gives me hope are the experiences of most start-ups today: the business model is elusive; there is usually a long freeware phase; the freeware phase often morphs into a freemium model; and, the sun has set on the boxed product. Risk taking and failure are wholly acceptable in this brave new world. Success stories usually reference several preceding failed attempts. Perseverance seems to be the key. Is it time to ditch the pen and speak your writing? Speech recognition allows you to speak aloud to your device and have words typed as you speak. The software is not quite ‘Star Trek’ quality yet, but it has improved so significantly in the last few years that it is now a real option for text entry. Even better, it is included free in many operating systems. Many versions of the software only work when they are online as your speech is literally sent across the internet, interpreted in the cloud and then returned to the device in text format. With Bluetooth, wireless, and cloud technologies you can do cool things like talk into your phone and have the text come up in a document on any computer screen (in the same room or in a shared document across the other side of the world), all in real time. The question is, should 21st-century learners labour to write with a pen or keyboard, or can they simply speak their writing? Is it cheating and how will it impact on their literacy and learning? It depends on the learning intention. If the learning intention is for students to express themselves or to show their understanding, then speaking to write is just as valid as writing with a pen or typing. It is simply the means of getting your word onto the page. If the intention is to develop the ‘skill of writing with a pen or keyboard’ or spell words correctly then of course speaking is not appropriate. These intentions are often important for younger learners and less of a focus for older students. Pros — why use speech recognition? It is fast. The average adult writes at about 31 words per minute* while they speak at more like 150 words per minute. Speech recognition software uses context to recognise speech so most work best when you speak at your normal pace in whole sentences or paragraphs rather than individual words. For those with writing difficulties or a strong preference for speech, it is critical because so much of the work produced and assessed in the education setting is still required in written format. Speech recognition gives these students the opportunity to show what they know rather than repeatedly defining them by their writing difficulties. It offers options for those with who have writing difficulties. For those who have physical disabilities, poor fine motor skills, handwriting legibility, and other writing problems (e.g. 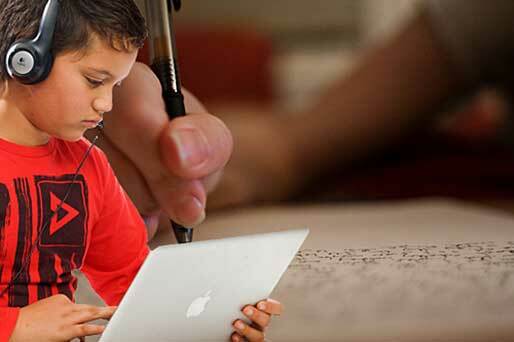 very poor spelling), speech recognition offers another way to get their words onto the page. It has huge (and largely untapped) potential for communication with students who are hearing impaired or Deaf. A speaker can use the technology to convert their voice to text, enabling immediate, real-time access for a student who cannot hear the spoken word. This option is not nearly as good as sign language or real-time captioning but is starting to be a reasonable third choice for students who are Deaf or hearing-impaired and can read well. Cons — what are the down sides? Speaking to write is a very different skill to speaking in conversation. The student must compose sentences in their head, speak (preferably the whole sentence) clearly and then review what has been written for accuracy. Speaking to write is a complex skill that will need to be learnt and practised. We should not expect that just because a student can speak, it will be easy for them. The software is not yet capable of 100% accuracy so the student will always need to review the text and make corrections (using voice or keyboard). There is currently no Māori speech recognition engine so te reo is not an option. Some of the products can recognise a few Māori words or can be trained to recognise new words. The use of speech recognition in a classroom requires careful consideration. Many students are reluctant to speak their work aloud in front of their peers and although microphone technology is improving all the time, a quiet setting will give greater recognition accuracy. Because of this, students are sometimes sent to other rooms to do speech recognition. This, in turn, may lead to the student being isolated from their peers. NCEA externals are still handwritten, so longhand is still necessary. This is very likely to change in the future and NZQA has already begun digitising assessments. Unfortunately having reliable speech recognition available for any student who wants it in our NCEA assessments is still a long way off. 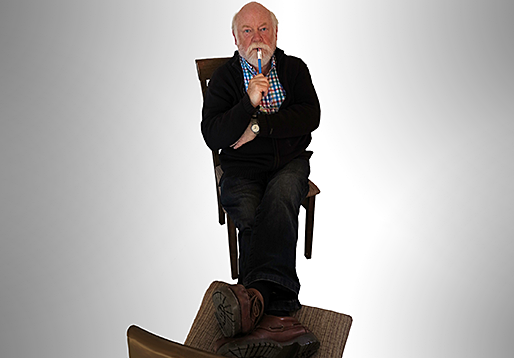 For more information see Innovation at NZQA. Speech recognition requires power and in most cases, a good internet connection. We only need to think of the recent terrible crisis in Nepal, or even closer to home, the handwritten ‘HELP!’ signs hastily scribed by those trapped in high-rise buildings during the Christchurch earthquakes. Handwriting was crucial when all networks were out and power was lost to some of us for months on end. Are crayons, pencils and pens out? What does the research say? Recent neuroscientific research clearly shows us that students acquire early literacy skills most effectively by learning to write by hand (James & Attwood, 2009; Longcamp et al, 2008; James & Engelhardt, 2011). The tactile, physical act of writing by hand recruits the visual area of children’s brains used in letter processing, and the motor regions seen in letter production, in ways that don’t occur through tracing or using keyboards (Alonso, 2015). So, perhaps surprisingly to some of us, using a range of ‘old digital’ (in the finger sense) media —- e.g. plasticine, sandpaper, paint, crayon, pencil, pen and glass (tablet finger writing and using a stylus rather than a keyboard) — remains important for now, especially in the early years of emergent writing. For older students, there is also evidence that note taking by hand rather than keyboard may help comprehension. Mueller and Oppenheimer (2014) showed that college students who take notes longhand take fewer notes overall, with less verbatim recording than those who use keyboards. But they perform better in both factual and conceptual learning. So we shouldn’t be throwing away those pens and pencils just yet. Writing by hand is still an important skill that has a significant role to play in developing early literacy skills. It also appears that handwriting notes supports comprehension and retention of information. Speech recognition though, is one of the many great tools that students can use to produce written content. It definitely has a place as an option for writing so let’s add it to our learners’ repertoire of skills – especially for older learners who already have handwriting in their toolbox. What is sure, is that ever-widening opportunities are becoming available to our students. Those who learn to use these amazing writing tools – whether separately or in combination – will find truly inspiring, supportive, motivating and exciting prospects in our evolving classrooms and learning spaces. Mueller, PA and Oppenheimer,DM. The pen is mightier than the keyboard: advantages of longhand over laptop note taking. Psychological Science (2014); 25(^) 1159-68.
doi: 10.1177/0956797614524581. Epub 2014 Apr 23. Looking for new ways of collating and showing your professional learning? Or, thinking about new ways to support your learners to set goals? If so, open digital badge certification might be the answer. Badges, also known as micro-credentials, are gaining global momentum as modern evidenced-based certification. Why is this? 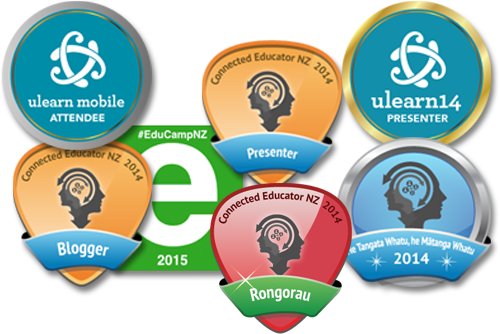 At a first glance, digital badges appear to be a visual representation of a person’s skills, knowledge, competencies and achievements. However, part of the richness to open digital badges is the evidence that sits in behind each badge detailing the learning. This ‘metadata’ displays information that records the badge issuer, the date issued, and the criteria required to earn the badge. Furthermore, open digital badges enable the badge earner to link to artefacts that contributed to the badge such as research, inquiry, reflections and videos thereby adding robustness to the badge. Selecting the displayed badge showcases the basic requirement information and any evidence of learning that the holder has chosen to share. I’ve been thinking about my recent experience in getting to grips with educational research and escaping the confines of my assumptions. My involvement in an education innovation project has enabled me to do exactly that, and I can certainly recommend it — provided you are prepared to visit spaces outside your comfort zone. Having the time to read, reflect, think, visit schools, talk with teachers and students, and engage in professional conversations about a topic of interest is like taking a very deep breath of fresh air. It’s enjoyable but scary at the same time. Scary, because, not only am I working towards an outcome that is not yet known (thanks to the design methodology process being followed), but I also realise that my educational focus has gradually narrowed over the last few years.